Please Note:BOGS are measured in US Sizes. Please check the chart below to confirm your size. 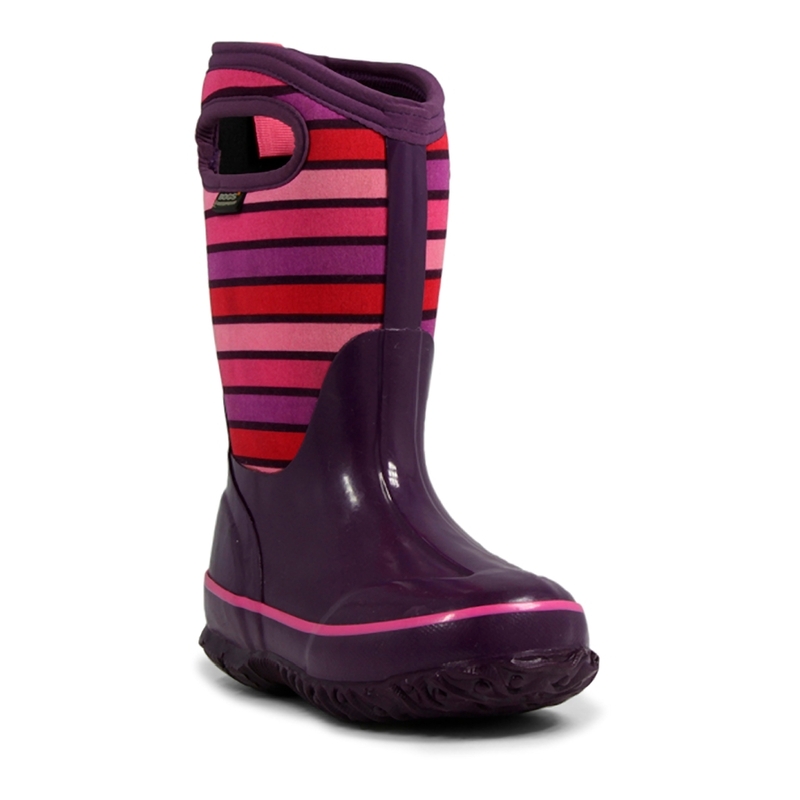 The Bogs® Kids Classic Stripes is waterproof and ready for anything. Constructed with durable hand-lasted rubber for optimal comfort. 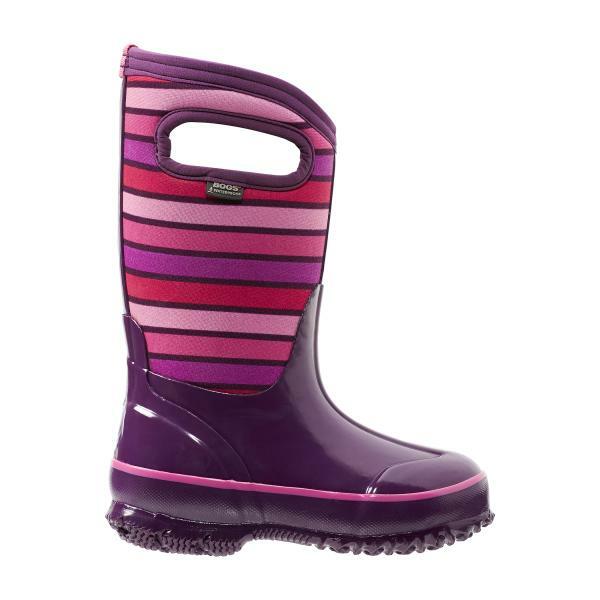 Insulated with 7mm waterproof Neo-Tech Lite and lined with Bogs Max-Wick to keep feet dry. Easy-on pull handles (kid-tested and approved!) and comfort rated to -34°C.